The first issue of the unauthorised sequel to Watchmen, by Geoff Johns and Gery Frank published by DC Comics, has sold oit of t=its second printing and DC Comics has sent it back to the mills for a third. The cover will be the mashup up version of Dave Gibbons artwork as seen in the lenticular version of the first printing, but with no lenticularity at all. What you see is what you get. I remember, Dave Gibbons didn’t seem best pleased when he saw this originally, hidden behind his standard line about being beaten and knocked about down the stairs and giving a ‘no comment’ when asked. 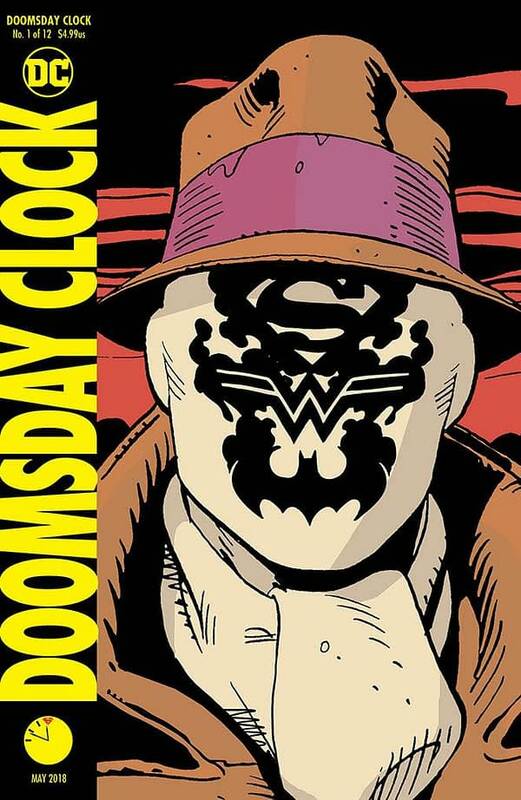 The third printing of the first issue will be published on March 28th, alongside the first printing of Doomsday Clock #4.